Metals have been part of home decor for a long time. There was a time when brass, bronze and copper dominated every corner of the home but as the civilisation developed and we made progress from bronze age to iron age all these metals were replaced by iron, steel and then aluminium and now in the modern age, plastic has invaded our households. 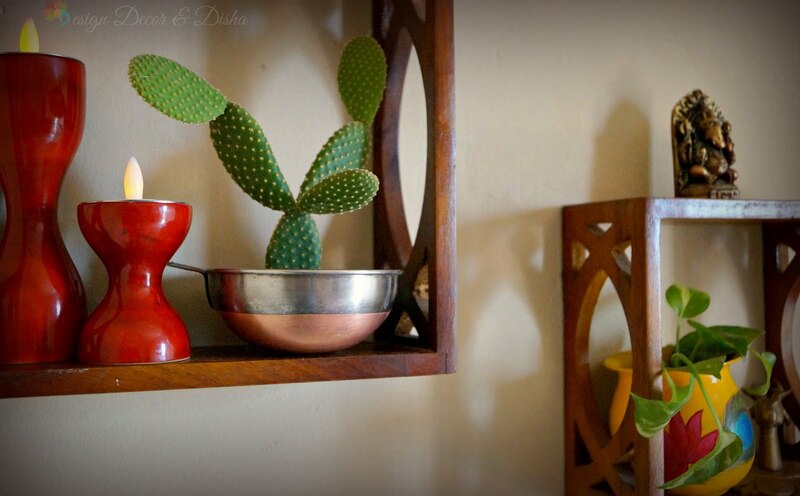 I grew up in a home where brass and copper graced all the parts of the home, predominantly the kitchen. While brass can still be found in some households only as a decor piece. Copper despite having enormous useful properties is a completely forgotten metal now. 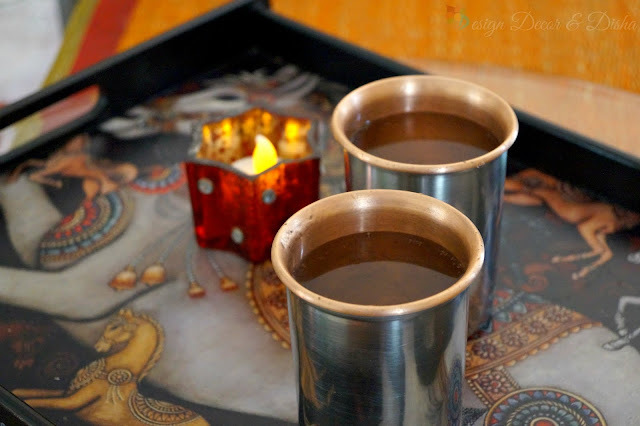 In today's blog, I would like to draw your attention to the copper and wish to revive the lost charm of copper. We need to change our mindsets and should embrace this rosy gold metal in our day to day life for its goodness. 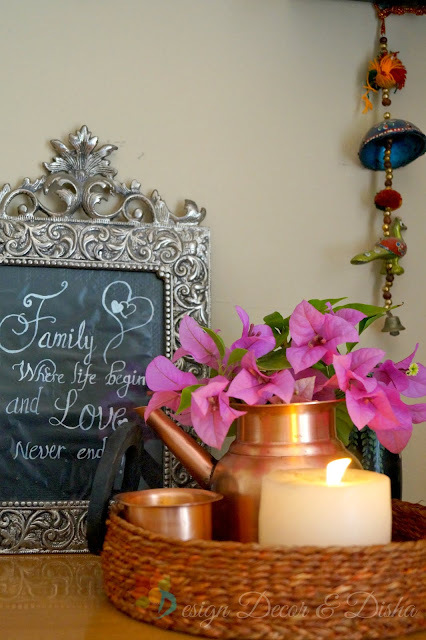 Hence I am sharing some easiest ways to incorporate copper into home decor. 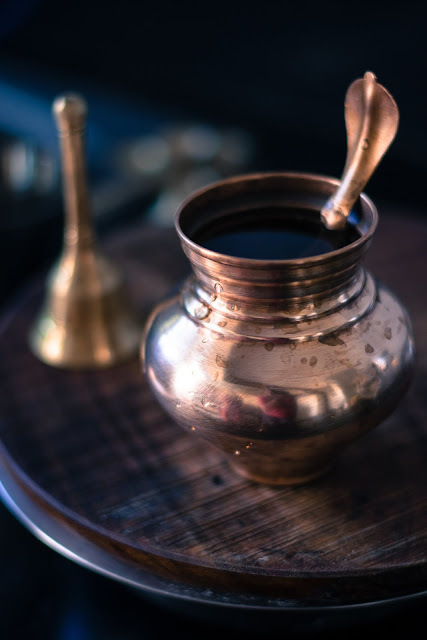 In Indian culture, copper pots like kalash and aachmani have been used in temples and at home in ritualistic worship since ancient times because of the health benefits of this metal. But the shine of this metal from our lives is fading fast so before it is gone completely why not we all take the pledge that we will give copper its righteous place again. Let's start with the kitchen where copper can be introduced effortlessly. Copper kettles, mugs, pitcher and tumblers are making their way into kitchens again. Hammered copper is in rage and it not only looks attractive but also enhances the thermal conductivity of the metal which in turn makes the food or drink taste even better. Mule mug is the best example of it. There are enormous ways you can incorporate copper in a kitchen. 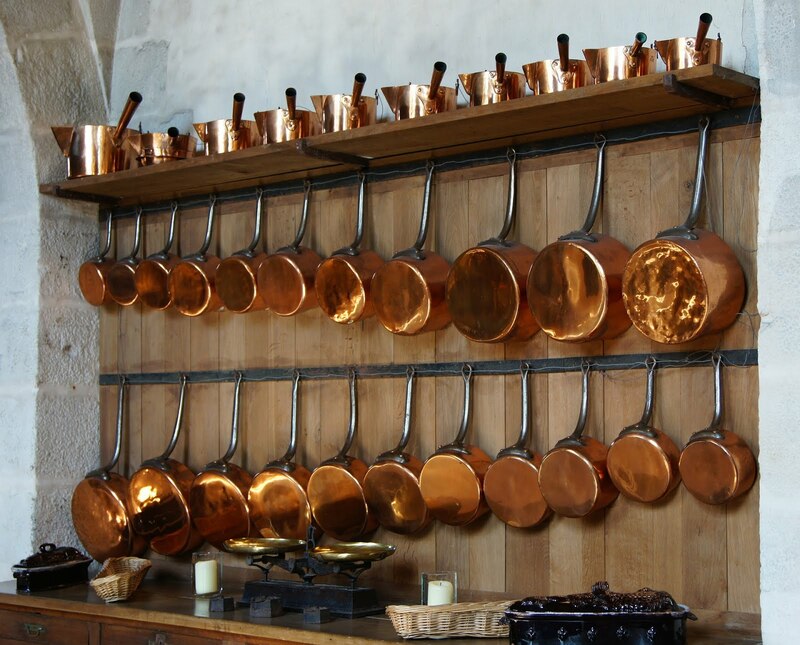 In olden days kitchen shelves full of copper vessels and utensils was a common sight. Now only plastic, non-stick and steel can be seen ruling the kitchen. Switching back to copper can bring lots of health benefits too and you know what, it has a great resale value too. Copper containers to store food can add sheen to the kitchen shelves. 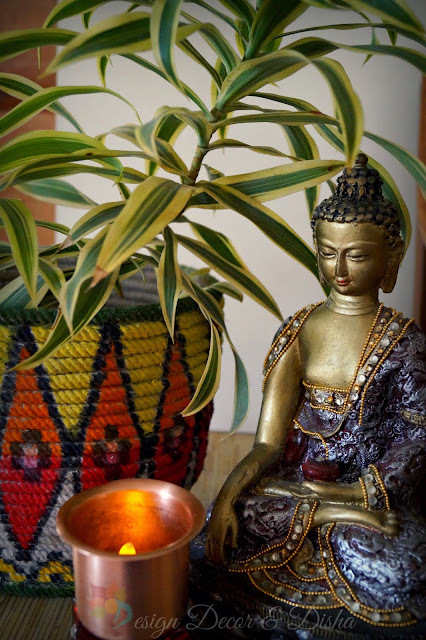 People around the globe are now aware of copper's undeniable contribution to human health and have started incorporating it into home decor. Copper sink, copper backsplash and even copper countertop are making come back and of course only to make the place look even brighter and gorgeous. In my family, we make sure that we use copper tumblers to drink water throughout the day to get our daily requirement of copper. Yes, copper is micronutrient and our body needs it to stimulate the immune system, for the formation of red blood cells, metabolism of cholesterol and glucose and is also required for proper growth and development. A broken pot with copper bottom is now serving as a succulent planter in my home. 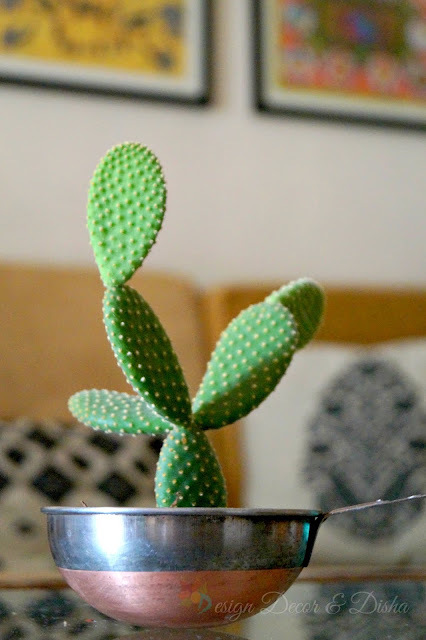 Here's an idea for you to use any copper pot as a planter and this shiny metal will definitely pop against any background no matter dark or bright. 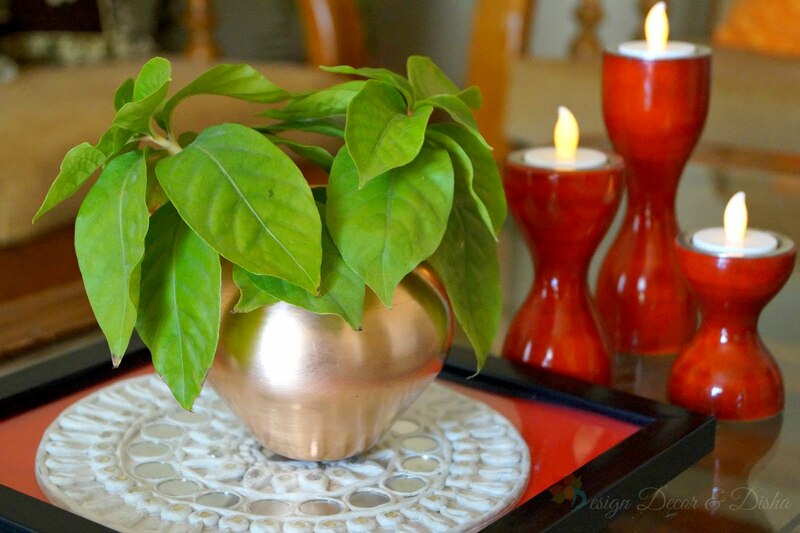 I play around with this trendy copper planter and style it in various ways. Some days it sits pretty on the shelf and sometimes it enhances the beauty of my coffee table. Well, we don't need a large antique piece of copper to make an eye pleasing arrangement when even a small and mundane copper object can bring a sense of class and elegance. Another small copper pot called Aachmani, I like to use as a tealight holder sometime and the warmth and rosy glow added by copper is always so awe-inspiring. Sometimes I fill it with tiny wildflowers and sometimes it plays as a planter too. A single copper pot but I use it in many ways and every time it makes such a statement. 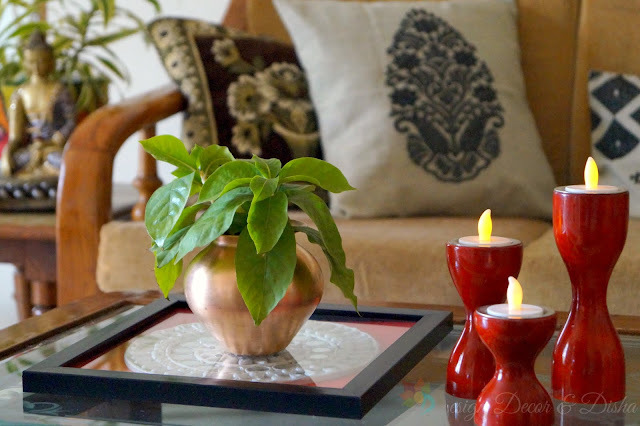 Let's enter the living room and see how copper can do so much here to add pizzazz. Copper is a timeless metal. Any copper pot or hammered copper vase placed on the coffee table adds the vintage appeal without compromising the modern styling. Sometimes it is difficult for me to get the fresh flowers so fresh green leaves from my balcony garden make the vignette complete and did you notice how divine the copper and green combination is. Think out of the box and use framed art as a tray or a base to display copper arrangement. 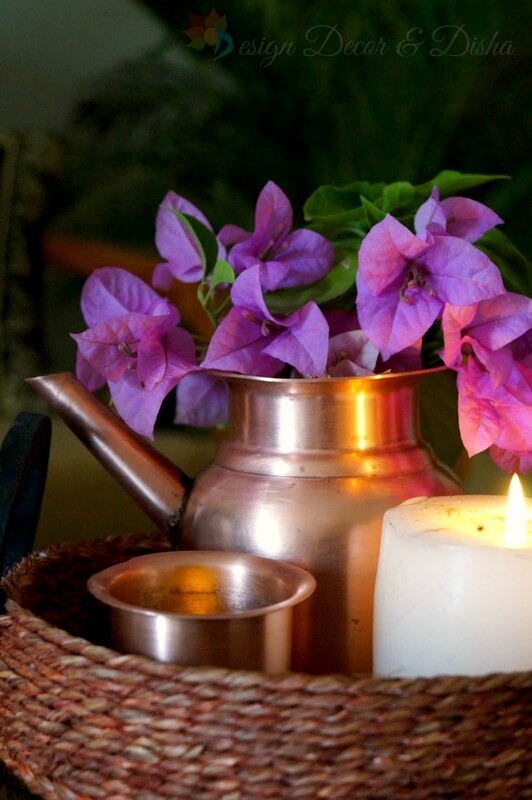 Pair it with some lit candles, it will add to the shine and elegance of copper. Copper is the only metal after gold that can bring so much elegance and drama to the decor. 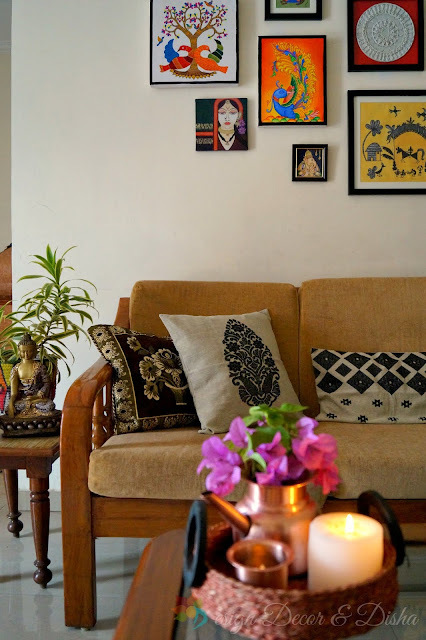 Another tip to incorporate copper into home decor is to place some glittery cushions in copper colour and witness the charm that it brings. 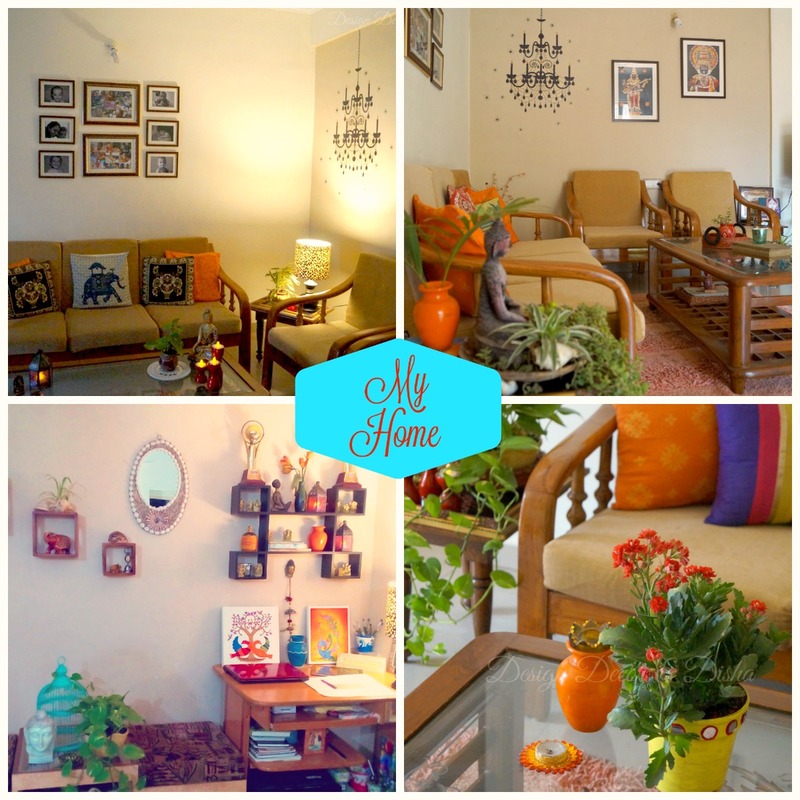 Copper blends well with warm and cool colours so you don't need to worry about the cohesive look. 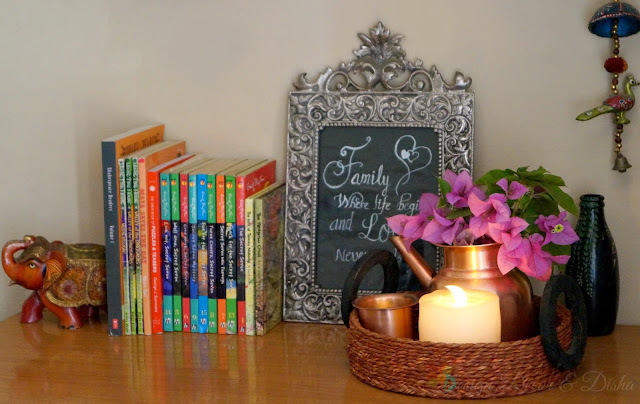 Copper frames can be used to display artwork. 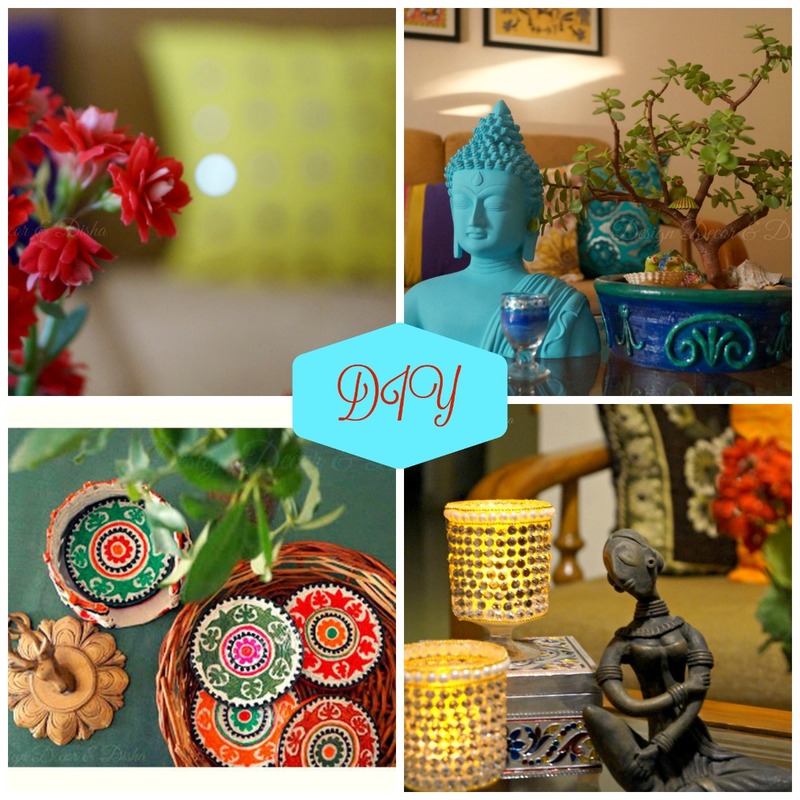 It can create a focal point and can become quite a conversation starter piece. Lights can bring the delicate yet noticeable change to the ambience of any place. Copper pendant lights are modish and all the rage if you wish to update the lighting in your home without going broke. Copper offers a sophisticated look to interiors. 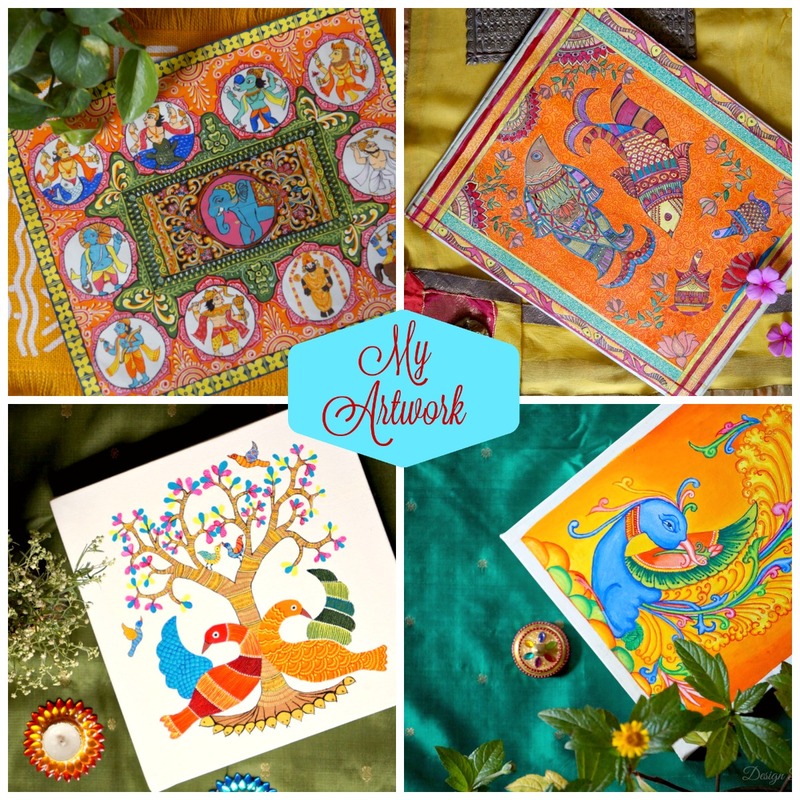 Now take a look at my home studio. 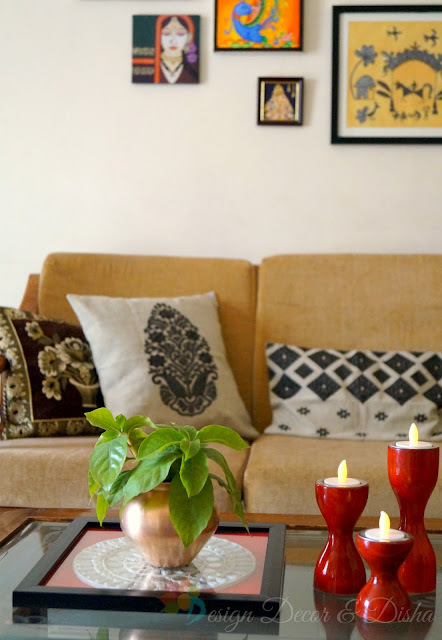 A grass tray filled with a motley crew of my copper pots and paired them with a lit candle (pair made in heaven) makes quite a statement and such is the charm added by the metal that the whole place has come to life. I wouldn't mind working extra hours here. I have shown you some easy and doable ideas to decorate a home using very limited copper objects. 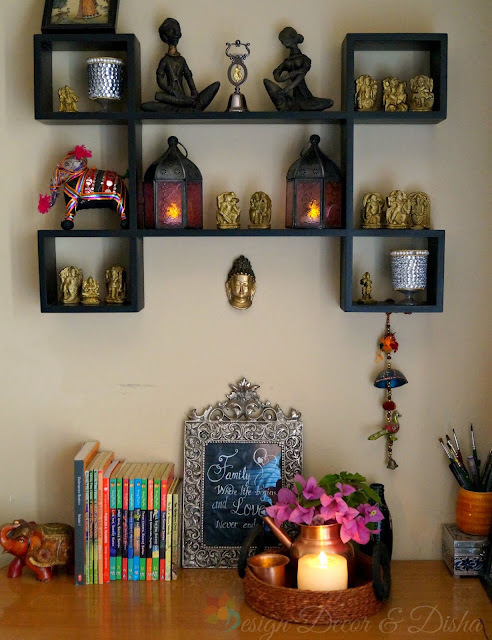 A vessel can be a planter or an accent piece, a small pot can be a votive holder, vase or succulent planter, a copper bowl can be used as urli and a copper platter can hold your books or assortment of candles. Objects can be limited but imaginations and ideas are boundless. The whole idea of putting together this blog for y'all is to make this forgotten metal our friend again. I hope you all loved the idea of using copper more in our day to day life and say goodbye to harmful metals. If you also love copper and are already using it in your home decor then please share the picture with us. We would love to see!! 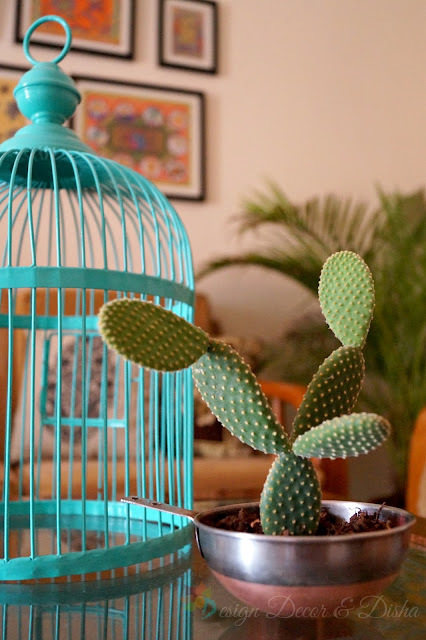 In my next blog, I'll be talking all about succulents and will show you my new DIY succulent planter. So stick around and stay creative! !